What is an RESP account? 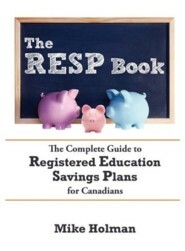 An RESP account is a registered education saving plan account. Contributions can earn a 20% grant (or more) from the government. There is no tax receipt issued for the contribution. No income is taxable in the account. Withdrawals are taxed in the hands of the student and contributions can be withdrawn tax-free. The child must have a SIN number and be a Canadian resident to have an RESP and receive the grants. Every child accrues $2500 worth of “grant eligible” contribution room per year starting in 2007. Only $2000 worth of contribution room is accrued per year before 2007. Any contributions made in excess of the “grant eligible” contribution room are allowed, but won’t receive any grant. All “grant eligible” contributions will receive a 20% grant. This grant might be higher for lower income families or in certain provinces. Each year you can contribute up to 2 years worth of contribution room – one for the current year and one for past years where contributions were missed. The last year a child can receive a grant is the year they turn 17 subject to certain conditions. Maximum amount of lifetime contributions that can be made to a child’s RESP is $50,000. Student must attend a qualified post-secondary educational facility as determined by the government. This rule is quite reasonable in that it encompasses trade schools and pretty much any kind of training. A recent change allows part-time studies to count for RESP withdrawals. To get money from the account you just need to show proof of enrollment at a qualified institution. You can then spend the money on whatever you want (books, tuition, booze etc) since you don’t have to show receipts for anything. If the child doesn’t go on to post-secondary education, the account can be transferred without penalty to a close relative (ie brother or sister). Otherwise the account can be collapsed and there will be penalties on the non-contribution portion of the RESP account. There are ways to minimize the hit especially if the owner of the account has unused RRSP contribution room. Excellent post…and so simply put, I was just about to start figuring this out, and wasn’t getting what the govrenment sites were saying. I would like to open an RESP for my twin grandchildren who were recently born in Germany. The parents are both Canadian citizens and considered “factual residents” by Canada Revenue Agency for income tax purposes as that they have significant ties to Canada and will eventually return to Canada. They are both teachers in Germany and continue to prepare and submit Canadian Income tax returns each year. The twins are Canadian citizens and now have a Social Insurance number. My question is as follows: can I as a grandparent open a family RESP for both infants even though they do not reside in Canada and would they be eligible for the 20% grant? Thank you! @Franco – I have no idea what a “factual” resident is. Never heard of that term before. A “factual resident” of Canada is someone who does not fall under any of the rules to be deemed to be a “resident” or “non-resident” but an analysis of their ties to Canada shows that this is the country in which they are “ordinarily resident”. A factual resident will have to file and pay taxes in Canada. A Google search of the term “factual resident” brings up numerous articles on the subject. Unfortunately, none of them address the RESP question of whether or not the children of “factual residents” can be RESP beneficiaries. Thank you for providing me with the RESP division of the HRSDC, I will call them for a definitive answer on this matter. Update – I called the RESP division of the HRSDC as suggested and based on my particular circumstance, the HRSDC representative confirmed that the children of “factual residents” are also considered residents of Canada for tax purposes and as such can be RESP beneficiaries and eligible for the 20% grant. Thank you for providing me with the HRSDC contact number and trust that this discussion may help someone else in a similar situation. Thanks a lot for the update Franco – that’s good news. Love this, I’ll be printing this out for my clients – the government websites are just too laden with jargon. Thanks!